I've been baking quite a bit lately, much to the delight of Kiddo. Usually I will surf for recipes online. 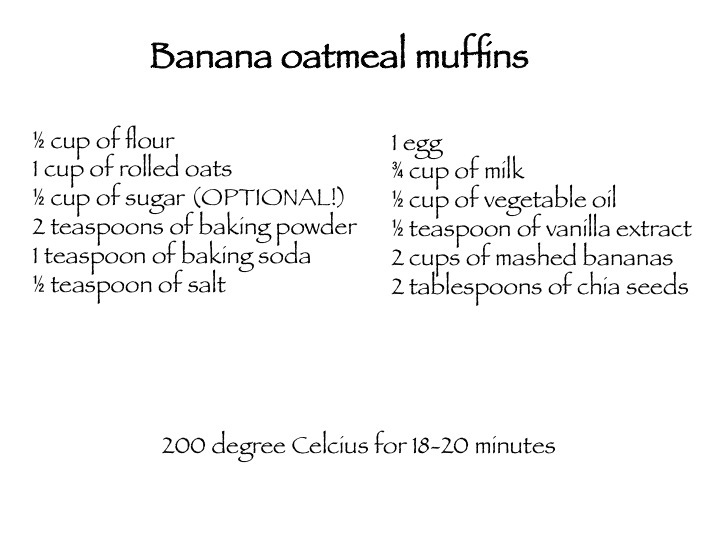 This time round, I decided to try out something of my own using a simple banana oatmeal muffin recipe as a skeleton, taking away some ingredients and adding extras. *Note: Sugar is optional as I added lots of mashed bananas. 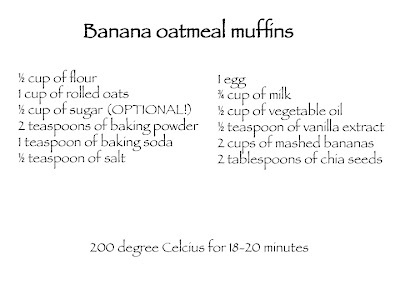 The chia seeds are optional as well but it helps make this breakfast muffin a lot healthier. Ok... my bad.... *oops*, a dollop of Nutella in each muffin also amps up the sweetness level. So, sugar is really not needed. If you have a sweet tooth, go ahead. The muffin is semi sweet, the way I like it. Coz I dislike ultra sweet and rich muffins. As for the rolled oats, once I added a cup and another time, I added close to two cups. 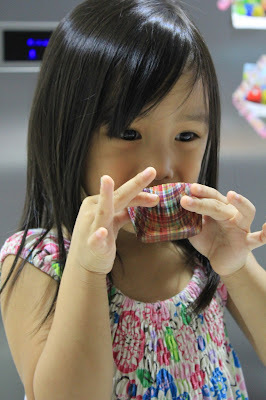 I like this recipe coz of the flexibility with the portions. Both tries worked fine, with the latter being slightly less moist. I added a layer of batter into each liner and spooned a dollop of Nutella into each muffin cup. Try to avoid having Nutella on the sides as it will ooze out during the baking process. Last step, not shown in pic - I topped more batter above the Nutella. Make sure to cover it well. The idea is to have the Nutella spread in the middle of the muffin. Several of my friends tried the muffins and they gave the thumbs up. Even a friend with fastidious tastebuds said it was good.